Offering 5 days of 3 scrumptious, cleanse conducive meals from Portia’s Cafe, daily 1 hour check-ins with cleanse specialist Julian DeVoe, a 200+ page digital copy of Julian’s book, Robust Vitality, & four presentations from local, professional wellness specialists. The food we are offering has an emphasis on creating a more alkaline environment in the body. Disease cannot survive in an alkaline (and oxygenated) environment. This is a plant based, superfood enhanced, local, seasonal and organic diet. Our goal is to introduce new ideas and habits that can easily be incorporated into your daily life. You don’t have to eat like this all the time, but by adding just a few things, your life can change in tremendous ways. Portia will be providing delicious, locally sourced and organic food (as much as possible). Julian will be leading brief daily check-ins around your experience and hosting different health care professionals to speak per day. Julian’s book, entitled Robust Vitality, is provided to all cleanse participants. Daily emails will be sent to guide the cleanse experience as well. Julian is originally from New Jersey and has been on a cleansing/thriving health journey for about 10 years. He teaches yoga, cleansing and detoxification internationally, practices cranio-sacral therapy and Vedic Thai Yoga Massage, writes and loves helping people improve their lives. 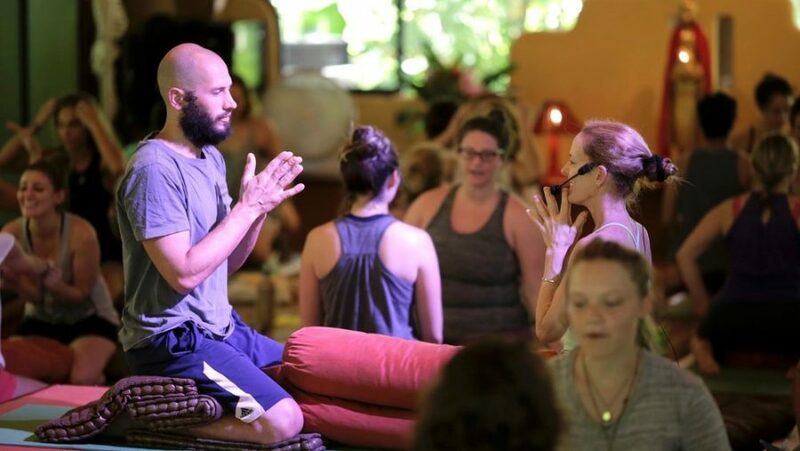 Julian has worked at notable institutions such as the Omega Institute in Rhinebeck, NY, Kripalu in Lenox, MA, the Sivananda Ashram in the Bahamas, and Nosara Yoga Institute in Costa Rica.